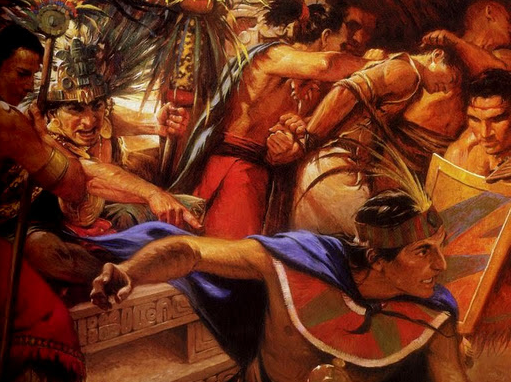 As with many of you, I grew up with the artwork of Arnold Friberg as my reference point for making key characters of the Book of Mormon come to life. His artwork so impacted me that I fear I may be mildly disappointed if I ever get the chance to meet my Book of Mormon heroes and they do not exactly match the images Mr. Friberg painted. But after looking at the story of Abinidi from a different angle, I think Mr. Friberg may have it wrong. 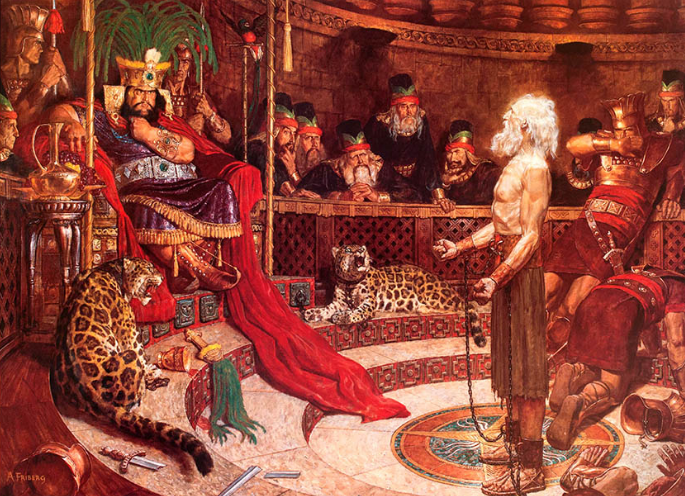 In this very familiar painting we see the emaciated, elderly emissary of God boldly standing in juxtaposition to the corpulent, corrupt King Noah. Off to side we see the prideful priests patiently plotting the Prophet’s doom. While the painting has all the correct characters, my most recent interpretation of this story would make each participant look quite different. I believe that Abinidi, Amulon, and Alma were all part of the contingent of priests King Noah hired when he dismissed those appointed by his father. I say this because when Abinidi is on trial he knows exactly what the priests have been teaching the people. Not only was he intimately familiar with their teachings, he clearly anticipated what questions they would ask as they interrogated him. Also, after Abinidi’s first attempt to reclaim King Noah’s people, he has to return in disguise. This may well have been caused by his close association with the other of Noah’s priests. It is likely he was known by all to have been closely connected to the king. This may have been why the people who first heard his words became so upset. Sure, Abinidi was telling them they needed to repent. That is never an easy thing to hear. But because of his previous association with King Noah, it was likely that they viewed Abinidi as a traitor and deserving of death. So, I now see a young and vibrant Abinidi boldly standing before his peers and closest friends. This only enhances my esteem of this great prophet. It is one thing to be accused by people you don’t know, but it is entirely different to be judged by those who know you best. Perhaps most important, Abinidi knew the cruel treachery of Amulon. My guess is that when God first called Abinidi to preach, Abinidi may be have been reluctant knowing that offending Amulon was akin to death. Abinidi obeyed God regardless of fearing for his own safety. In fact, he knew he would be killed. 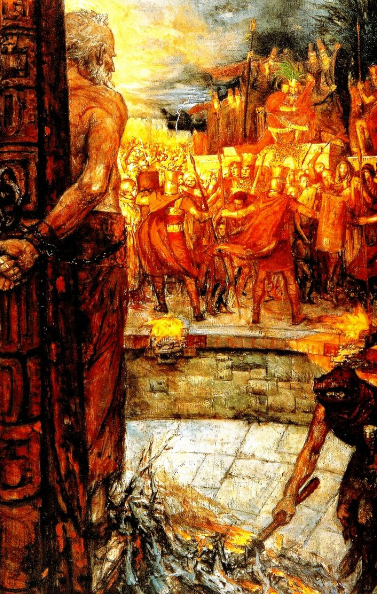 But with the faith of Meshach, Shadrach, and Abednego, when facing Nebuchadnezzar’s fiery furnace, Abinidi also trusted God enough to know that if he were not rescued from the biting flames of hate, he would still gladly obey a God that would willingly atone for not only his sins, but for the sins of this who were once his friends – the very people who would kill him. ← Oh What do You do in the Summertime?